Acupuncture is one treatment modality of Chinese medicine. Once an acupuncturist completes an initial intake and formulates a treatment diagnosis acupuncture points (acupoints) are then selected for treatment. Acupoint selection is done on an individual basis and can change from one treatment to the next. By needling acupoints, an acupuncturist is communicating with the energy of a patient and in this way is stimulating natural balance and healing. Know the qualifications and educational background of your acupuncturist. Make sure they hold a graduate degree in acupuncture from an accredited college and that they are licensed in the state where you will be receiving treatment. Many states now require that practitioners complete national board certification with the National Certification Commission for Acupuncture and Oriental Medicine (www.nccaom.org). Generally, acute conditions may only need a couple of treatments where-as more chronic conditions may be resolved with a course of 6-12 treatments. Conditions that are particularly severe or degenerative may need several treatments before improvement and may require many treatments over time. Initially, treatments are scheduled as often as three times a week or as little as twice a month. What should I do before, during and after a treatment? It is advised not to receive acupuncture on an empty stomach, immediately after consuming a large meal, if very fatigued, or emotionally upset. Wear loose, comfortable clothing. During treatment it is best to relax and to ask your practitioner any questions you may have. It is recommended to avoid physical activity up to 6 hours after receiving a treatment. 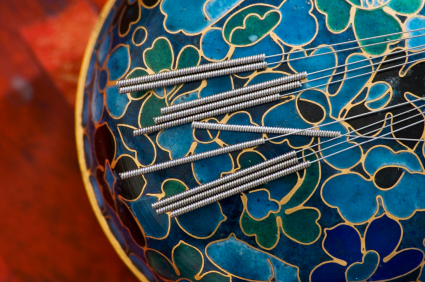 Some insurers cover acupuncture. You can usually find out by calling the number on your insurance card. We can give you a statement that provides all the information you need to submit to your insurance company for reimbursement.